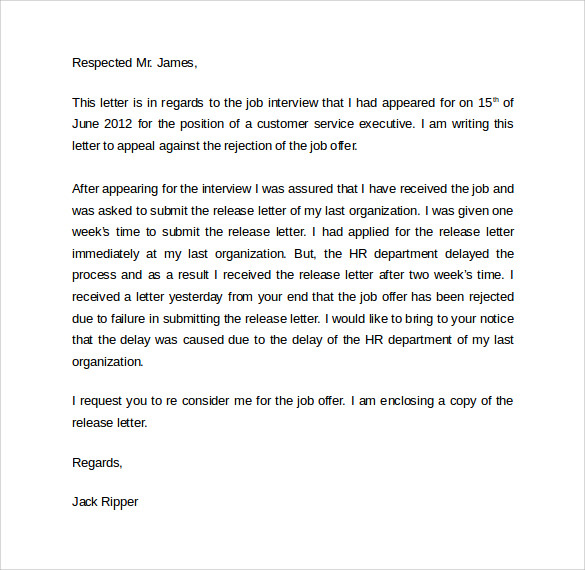 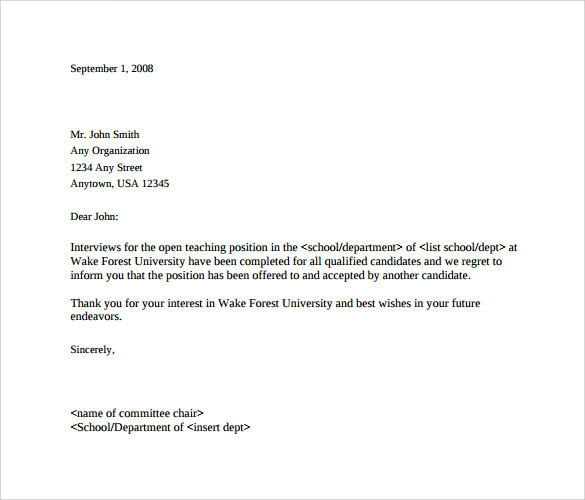 Rejection-Letter-after-Interview or a post-interview rejection letter is a letter used by employer/recruiter to make job interviewees aware about them not being selected. 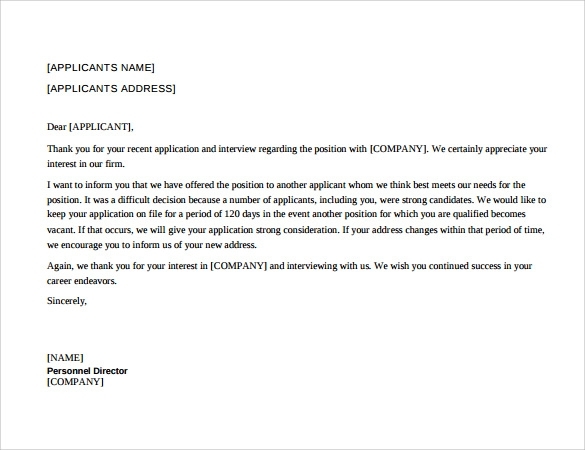 These kinds of letters are more popular where multiple-level interviews take place for a position. 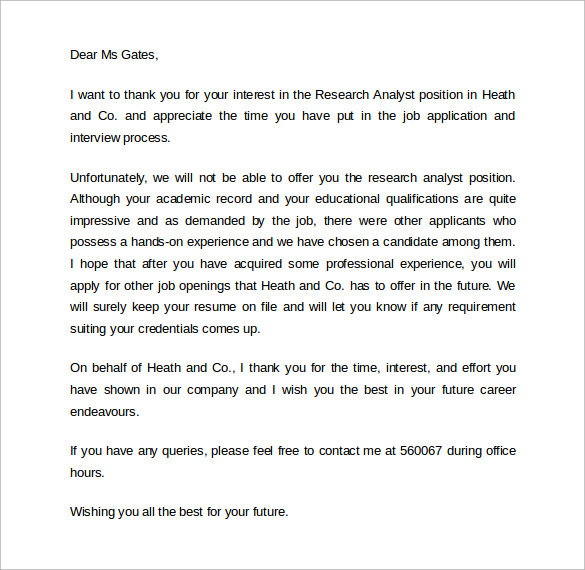 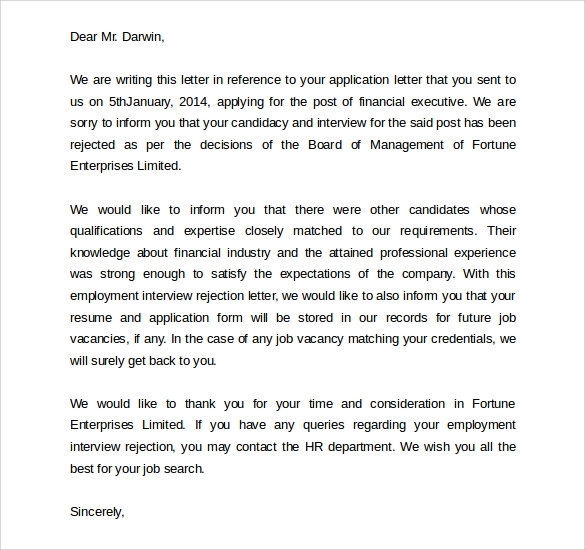 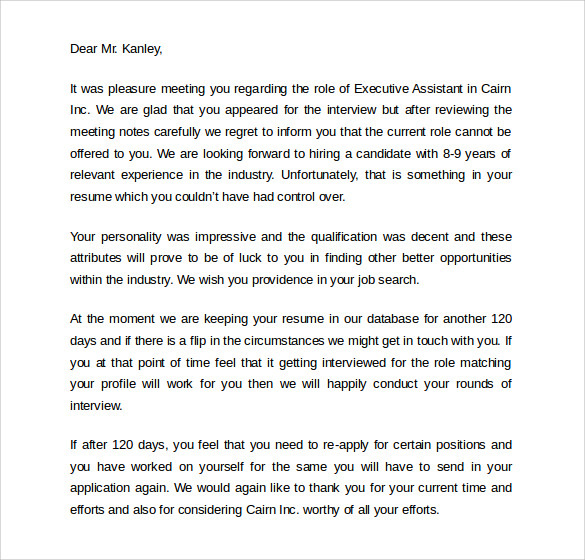 Although informing of rejection, a Rejection Letter should be written in a wise language, such that the candidate are still kept motivated.If you want to make your own rejection letter you can trust our rejection letter after interview templates. 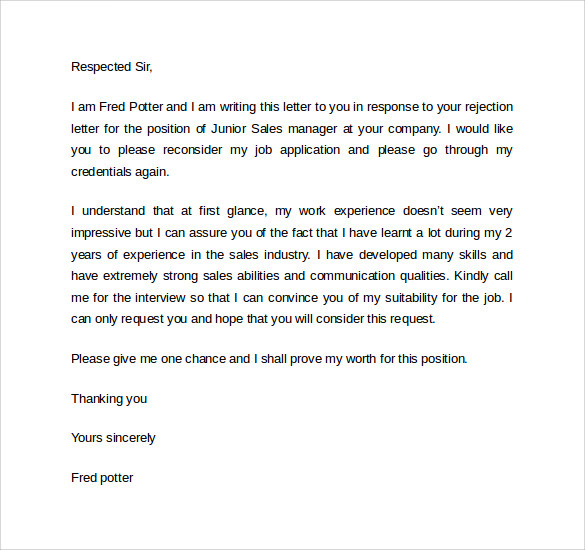 We offer a collection of professionally made rejection letter templates. 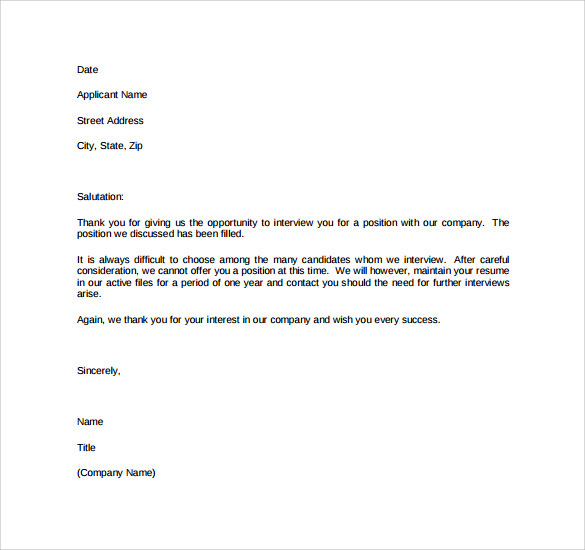 They are available for download in both word and pdf formats.